At its core, Sleepwalk with Me is about the images that always seem to sneak into dreams: love, family, and — as is expected with Birbiglia’s self-deprecating humor — humiliation. An extension of his one-man show, Birbiglia brings to his memoir all the wit that has set him apart from other comedians of our generation. Those familiar with Birbiglia’s comic work and its dependence on antics, voices, and impressions may wonder exactly how his humor translates to a written page. The answer? Wonderfully. Birbiglia’s memoir may contain an odd assortment of stories, but all are carefully constructed to either leave you in tears or peals of laughter. Birbiglia’s writing differs from his stand-up routines: The stories included in this book have gained the depth and complexity of a storyteller, rather than a comic. Whether recounting young love, the trials of growing up, or more recent bouts with a sleeping disorder, Birbiglia crafts funny but finely-tuned stories which are sure to entertain. Critics and readers have given the book high praise. Seth Meyers, head writer and host of “Weekend Update” for Saturday Night Live, offered a review that many readers would likely agree with. 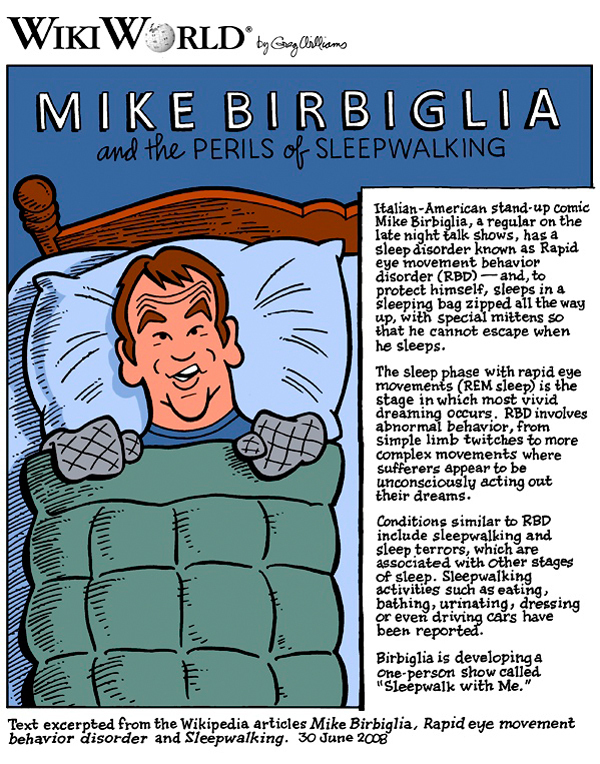 “Mike Birbiglia is a good friend of mine, but I’m still really happy when weird, bad things happen to him because I love hearing the stories,” Meyers wrote in a quote for the back of Sleepwalk with Me. And weird, bad things do seem to consistently happen to Birbiglia. These occurrences fill the pages that describe Birbiglia’s start in the comedy business. He recounts his experiences driving across the country to open for unknown comics, eventually working his way up to his current level of success. The stories also stream through his hilarious and fascinating accounts of the effects of a sleeping disorder that has often left him in compromising situations. Even the most mundane stories in the book, about his childhood antics or primary school lessons, are told with such wit and insight that they match up with any of the spectacles described in other sections.